The front yard is the stepchild of landscape design, ignored in the current enthusiasm for gardening. Typically, with its high-maintenance lawn and overgrown foundation planting, the front yard doesn’t enhance the house or provide useful living space for the homeowner. Yet as new properties become smaller and old ones grow shadier, the front garden may be the best place to grow vegetables or flowers, to sit outside in comfort and privacy, or even to swim or play tennis. Mary Riley Smith, a landscape designer who has often dealt with poorly planned and underused front properties, has filled this book with creative ways to make your own front garden beautiful and functional. She shows how to design paths, driveways, and parking areas and how to camouflage unattractive but necessary structures. For privacy, she describes the different virtues of fences, clipped hedges, and loose, flowing hedgerows. When it comes to planting in front of the house, the choices are surprising: instead of a lawn, you might create a colorful cottage garden, an edible landscape, a drought-tolerant meadow of regional native plants, a sea of ornamental grasses, or even a romantic orchard. All of these landscapes, and dozens more from all parts of the country, are illustrated with beautiful photographs. 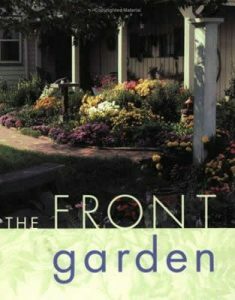 THE FRONT GARDEN concludes with nine case histories, including the landscape designers’ plans, that will give you even more ideas for turning your front yard into a beautiful garden.